Bank ABC is expected to launch a mobile-first retail bank in Bahrain before the end of 2019 as part of its digital strategy. The Central Bank of Bahrain has approved the new bank and granted it a licence. 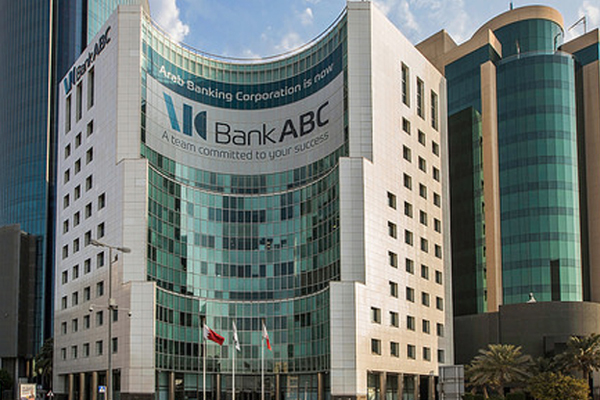 After the launch in Bahrain, the intention is to expand into other Mena markets, such as Egypt and Jordan, Bank ABC said at the bank’s Annual General Meeting yesterday. Bank ABC’s shareholders during the AGM approved a cash dividend distribution of 3 per cent ($0.03 per share, net of treasury shares), amounting to $92.934 million. This translates to approximately 46% of the net profit for the year, attributable to the shareholders of the parent. The AGM has also approved the appointment of new directors to replace retiring board members. Since the announcement of the intention for a market-making arrangement in February 2018, ABC’s share price has risen from $0.28 to $0.44 (as at January 31, 2019), a rise of 50% with over 30% of that gain following announcement of the arrangement on June 20, 2018. The volume of ABC’s share traded in the 12 months period to December 31, 2018 has increased to 54.2 million (+53%) from 35.5 million in similar period 2017. The bank’s operating performance continued its positive trend during the year 2018, and the first phase of its transformation strategy has met its goals. This was achieved despite slowing global economic growth and persisting geopolitical tensions, the bank said. “In the core markets, recovery in the GCC remains muted and the outlook in North Africa continues to be challenging. But conditions in Brazil, another key market for us, are improving,” the bank said. Bank ABC’s net profit for 2018 was $202 million, 5% higher than in 2017, thus continuing the past few years’ improving operating performance. Strategically, the bank is prioritising a more efficient use of capital and growing fee income, which caused return on equity to uptick, increasing to 5.2% in the year. Total operating income was $817 million against $869 million reported for last year but normalises also to $866 vs $868 million respectively, after adjusting for effects of foreign currency hedging transactions in Banco ABC Brasil (“BAB”) (which have an offsetting tax charge impact) and also being somewhat reduced by FX depreciation of the Brazilian Real (“BRL”) against USD in particular. Following the bank’s investments in building its presence in Dubai and Singapore, as well as the bank’s other strategic initiatives, operating costs were $474 million, $12 million higher than in 2017. Impairment charges for the year were $79 million, down from $96 million in 2017, reflecting prudent lending criteria and proactive management of remedial, which helped us contain our credit cost. The bank said the next phase of Bank ABC’s strategy, which was approved in late 2018, rests on four main pillars: to unlock the potential of its global wholesale bank, globalise and digitise its transaction banking business, enhance the group’s operating model to increase resilience and strengthen culture, and continue to seek inorganic opportunities to address model constraints and enhance the group’s returns, the bank said. In regard to its Wholesale Bank strategy, the business at a global level shall be focusing on improving corporate and financial institutional client relationships by leveraging its network and capabilities to become a more effective partner, using multiple products across several countries on an ongoing basis, it added. “An important related initiative is reinforcing our global transaction banking business, leveraging our trade proposition alongside building a cash management business, which will meet a significant client need, as well as providing a source of diversification to the funding of the bank,” it said.